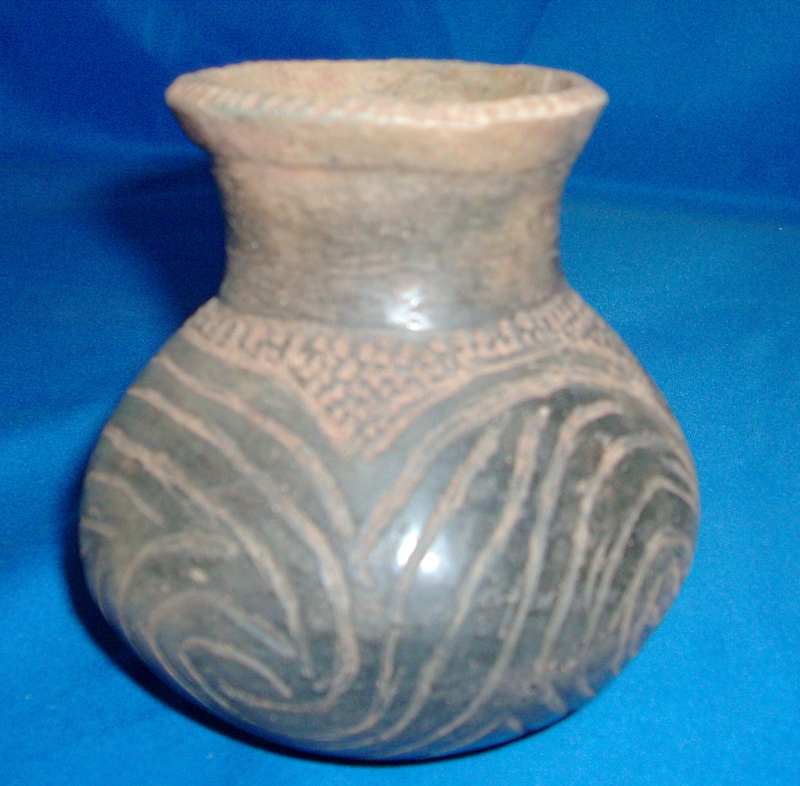 A Medium Size, Very Well Made, Caddo Taylor Incised, Wide Neck Waterbottle That Exhibits Surface Aging And Coloration Patination, Heavy Aged Deposits In The Incising, Correct Open Pit Firing, Aged Surface Grog Deterioration,Correct Surface Aged Fire Marks, Correct Bottom Wear, Correct Type Material And Manufacture For The Area Found. Found By Rick Ashley. Ex-Rick Ashley, Sam Johnson And Jack Bonds Collections. This Is An Artistic, Excellent Example, Being In Solid Condition! Includes A Ken Partain Certificate Of Authenticity!